Since the Indian Prime Minister, Narendra Modi, declared energy a top priority after his election at the start of 2015, the solar market has boomed in the country. The country has already implemented numerous projects, while many more are currently underway or at the planning stage. India has one of the fastest growing solar markets in the world. According to the Mercom Capital Group, a total of 8.1 gigawatts (GW) of photovoltaic (PV) capacity had been installed in the country by August 2016, and 21 additional GW are already in the pipeline. These figures present the ideal backdrop against which to hold Intersolar India. Intersolar, an international hub for solar technology reflects the dynamic development of India in Mumbai along the entire value chain in the areas of photovoltaic and solar thermal. This year, Intersolar is celebrating its 25th anniversary. Having started life as a student initiative in 1991, over the years it has established itself as a global source of inspiration and catalyst for the industry. 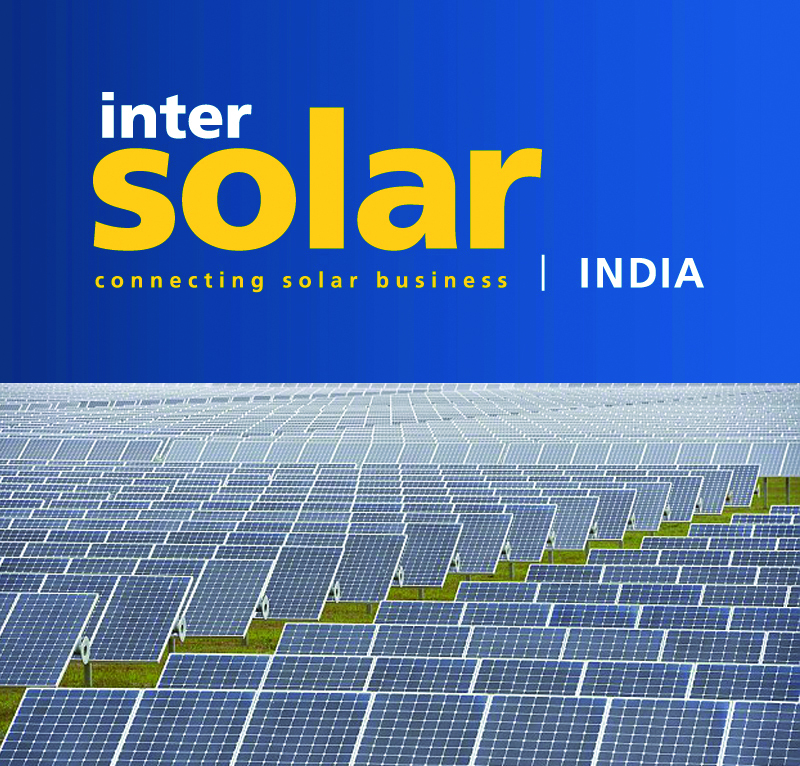 Intersolar India is the country's largest exhibition and conference for the solar industry. It will take place on 3 days from Wednesday, 19th October to Friday, 21st October 2016 at the Bombay Exhibition Centre (BEC) in Mumbai. Around 230 exhibitors and over 11,000 visitors are expected in the exhibition. Professionals from industry, commerce and trade, suppliers and institutions expected a larger program with conferences, seminars, workshops and lectures on the latest industry trends and teaching of practical know-how. The exhibitors of the event will be introducing some of the latest and widest ranges of products and servicing such as new customers, brand familiarity and brand confidence, innovative products and services, establish new and maintain existing business. Since being founded, Intersolar has become the most important industry platform for manufacturers, suppliers, distributors, service providers and partners in the global solar industry. ees (electrical energy storage) India, for the second successive year is held alongside Intersolar India. Numerous Indian companies work in both the photovoltaics and energy storage sectors. ees India provides a perfect addition to the event and supports India on the path to a renewable future. 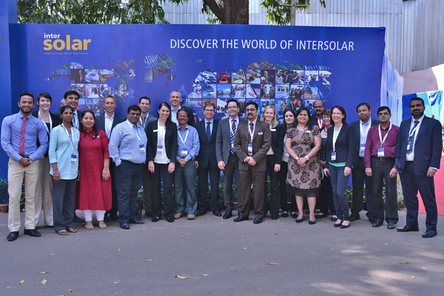 In 2015, 200 international exhibitors and around 11,000 visitors attended Intersolar India. Around 100 distinguished speakers and 680 attendees discussed current industry topics and shed light on the conditions surrounding technological, market and political developments at the accompanying conference. Intersolar brand have also successfully been organized in Munich - Germany, San Francisco - USA, Beijing - China, Sao Paulo - South America, Dubai - UAE and Mumbai – India along with summit in Istanbul - Turkey & Brooklyn - USA East. The Intersolar India Business to Government Forum is being launched first time in this year on October 19, 11:30am–1:00pm, hall 1, to give company representatives the chance to discuss the latest industry challenges with political decision makers. High-profile speakers, such as Dilip Nigam, Director of the National Solar Mission at the Ministry of New and Renewable Energy, and Veena Sinha, Director at the Ministry of New & Renewable Energy, have already confirmed their attendance, reports Intersolar India. The internationally renowned exhibition for wind energy, HUSUM Wind, will also be represented with a shared booth at Intersolar India.